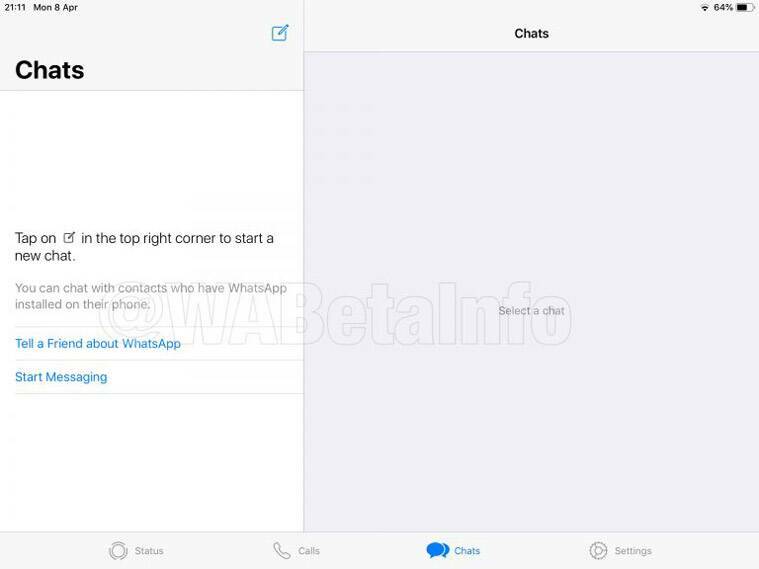 WhatsApp could soon support Apple’s iPad as well, according to a report on WABetaInfo. The messaging app also has other features in the works, including an ability to block frequently forwarded messages. A new user interface for sharing audio has also been released in the public beta version, according to the blog, which tracks upcoming features for WhatsApp. Starting with the iPad support, WABetaInfo, says they have spotted the feature, but it is not yet available for users. Currently if you search for WhatsApp on the App Store on iPad, you will not get any result. However, WABetaInfo says that the support might be available in the next beta updates on TestFlight. WhatsApp also has a public testing program for iOS similar to Android, though the slots usually fill up quite fast. Based on the screenshots shared by the website, logging into WhatsApp on iPad shows the usual log in screen and a similar UI as iPhone app. It also looks like chat screen has been redesigned and comes with splitview support. The app also works in landscape mode on the iPad. The app supports all other features like the iPhone one, including the ability to make calls, share Status updates, etc. 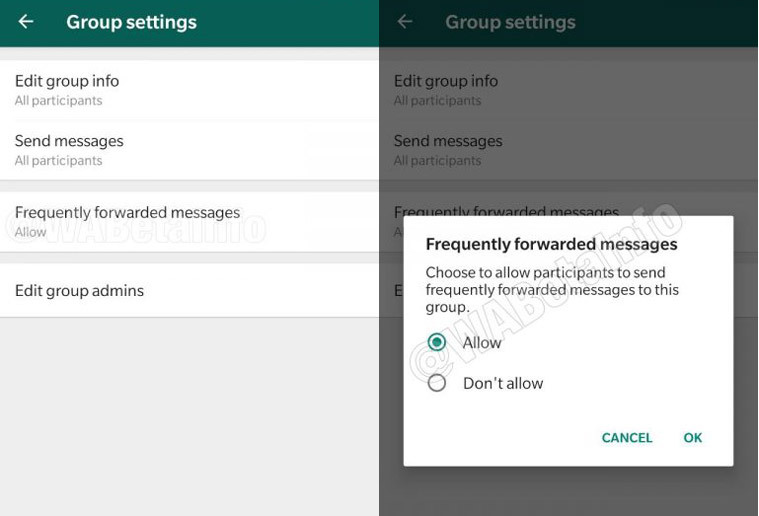 Coming to the Android app, WhatsApp could soon allow group admins to block users from sending ‘Frequently Forwarded’ messages. The move should be seen as one to stop the spread of fake news, misinformation and spam on WhatsApp. According to a different report from WABetaInfo, Android beta version 2.19.97 is where they spotted the feature, though again it appears to be in development and not all beta users will see this immediately. Essentially, a new group setting is added which only admins can see, where they have the option of disabling ‘Frequently Forwarded Messages’. When enabled, users will not be able to forward such messages to the group. 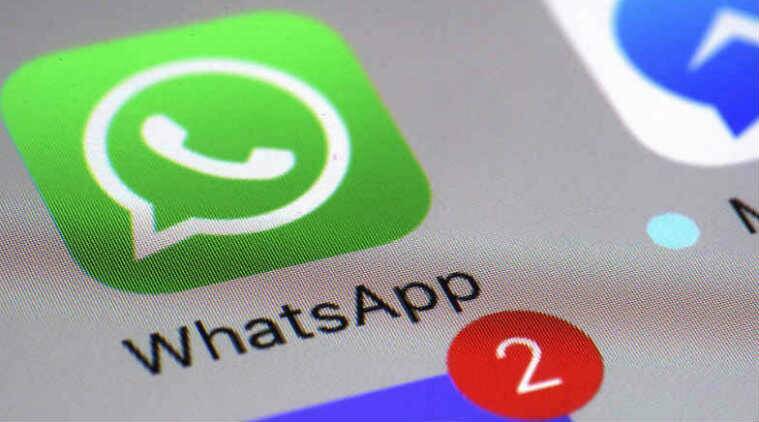 WhatsApp has recently started showing the number of times a message is forwarded to users in the information in the Android beta app as well. WhatsApp recently improved privacy settings for groups and gives users the option of restricting who can add them to one in the first place. Finally, the v2.19.89 beta also brings a new user interface for selecting audio files, and will let users preview audio and album art before sending it. It will also let users send up to 30 audio files in one go. The feature appears to be live on the public beta for most users.